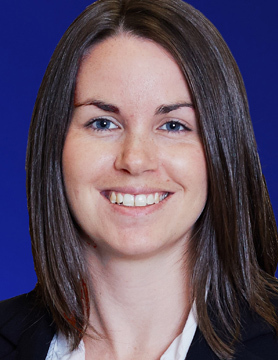 Claire is a Director with KPMG’s Asset Management Practice in the Cayman Islands. Her experience is focused on private equity structures and venture capital. Claire is the Lead Engagement Director on multiple hedge funds and private equity entities and has extensive experience with multi-billion dollar private equity funds based in Europe, Asia and the US. Claire also has experience in hedge fund structures and strategies, fund of funds, private equity funds, derivative funds and segregated portfolio cell structures. Claire is an integral part of the Data & Analytics initiatives for KPMG in the Cayman Islands and KPMG Islands Group. In 2018, Claire was part of the editorial board and research team for KPMG’s Global thought leadership report, “Alternative Investments 3.0: Digitize or Jeopardize”. Claire is an active participant in KPMG’s citizenship programs including Literacy is For Everyone (LIFE), mentoring for the Cayman Finance mentorship program, partaking in KPMG make a difference day and providing audit and review services for Rotary. Further, Claire is member of the triathlon association, organizing multiple triathlon and running events annual.